With Imani Christian defeating Chartiers-Houston on Saturday afternoon, the field of 62 teams for the 2018 WPIAL playoffs are set. Below is a breakdown of the teams that qualified, which teams will get home playoff games, and an analysis of the pending coin flip in the 1A playoffs. 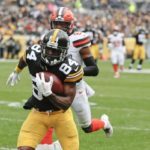 WPIAL policy for awarding conference championships is that all teams that finish with an identical record, regardless of tiebreakers are named “co-champions.” Therefore, for example, Aliquippa and Beaver Falls are co-champions because both finished 6-1 despite Aliquippa’s head-to-head victory. 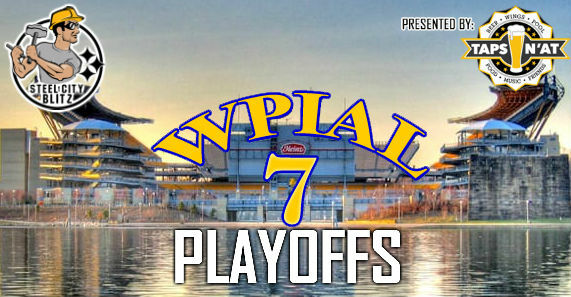 The full playoff brackets will be released on Monday night during the WPIAL Selection Show. Note: All records listed are conference records. Playoff Structure: The top 6 teams make the playoffs. The top 2 teams get first round byes. Playoff Structure: The top 5 teams in each of the three conferences make the playoffs. One of the three 6th place teams earns a “wild card.” The top two teams in each conference plus 2 of the 3 third place teams get home playoff games in the first round. Playoff Structure: The top 4 teams from each of the two conferences make the playoffs. The top two teams in each conference will get home playoff games in the first round. Playoff Structure: The top 4 teams from each of the four conferences make the playoffs. The top two teams in each conference will get home playoff games in the first round. Playoff Structure: The top 2 teams in each of the three conferences make the playoffs. Two of the three 3rd place teams earns a “wild card.” The top team in each conference plus 1 of the 3 second place teams get home playoff games in the first round. The top three teams in the Tri-County South are tied across all tiebreakers and the home playoff game for first place will be decided by a coin flip at the WPIAL offices at 10am on Monday morning. All three teams will make the playoffs, but the coin flip will determine which one team gets a home playoff game. The procedure for the coin flip is that all 3 teams flip a coin and the one with the minority result is eliminated (i.e. 1 Head vs 2 Tails). The head-to-head results between the teams then decide first place. Only the 1st place team gets a home playoff game. Head to Head results: Monessen beat California, West Greene beat Monessen, California beat West Greene. 25% chance to get a home playoff game. 50% chance to get a road playoff game (either by losing the initial flip or by losing the head-to-head). 25% chance of a re-flip if all three teams flip heads or tails.